View of the cliff dwelling, Spruce Tree House, from the back porch of the Chief Ranger's Office. Spruce Tree House may have been home to about 80 people around A.D 1250. It is one of the best preserved sites in the park. View from the dust monitoring webcam at Mesa Verde National Park. It was installed as part of a multi-agency air quality research project in 2011. 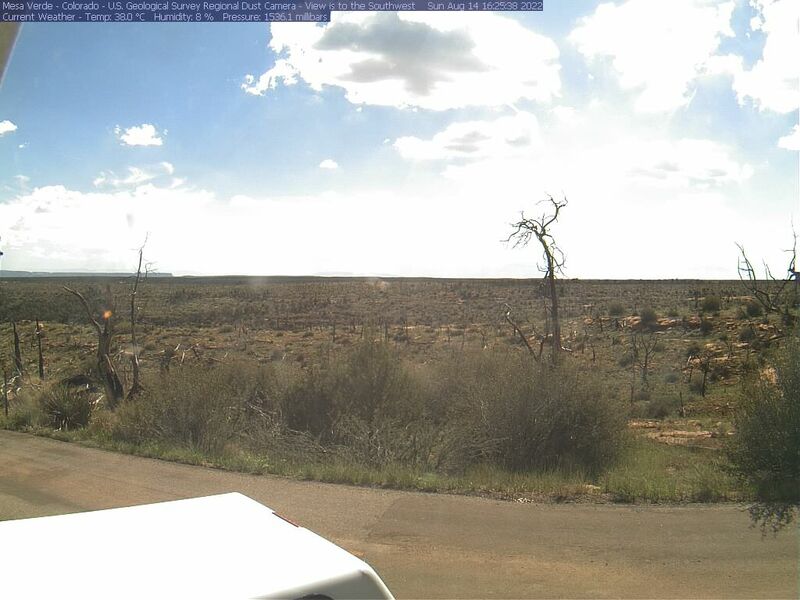 The webcam is hosted by the U.S. Geological Survey.For more information about the project, visit the Nature and Science Air Quality page.